Sunny days, lazy weekends, scenic landscapes. Summer is the perfect time for a day trip or long weekend in our beautiful New England village. • Self-Guided Walking Tours – Maps are available with routes and highlights for four historical topics: the Old Burying Ground; Pocumtuck Native Homeland; Deerfield English Settlement; and the 1704 Deerfield Raid. Printed maps are available for $2 at the Visitor Center at Hall Tavern, The Flynt Center and the Museum Gift Shop & Bookstore. • Main Street Stroll – The mile-long Main Street and village commons are open to the public and available for all to enjoy (building access, maps and tours require paid admission). • Ask about family activity guides and games for kids, including “I Spy” game and “Nature Pack” for a kid-friendly hike. Explore the many family-friendly destinations in the Connecticut River Valley and surrounding region. • Mount Sugarloaf State Reservation: Hike or drive to the summit for amazing views, picnics and mountain biking. • Crab Apple Whitewater: Enjoy rafting trips that range from mild to wild, or go at your own pace with raft and kayak rentals. • Magic Wings Butterfly Conservatory and Gardens: Experience the wonder of thousands of butterflies and beautiful outdoor gardens. • Yankee Candle Flagship Store: Come for a huge selection of candles, special events and family fun. • Eric Carle Museum of Picture Book Art: Don’t miss this favorite of children and grown ups alike. • Rock, Fossil, and Dinosaur Shop: Mine gemstones, stroll among dinosaurs and dig for fossils. 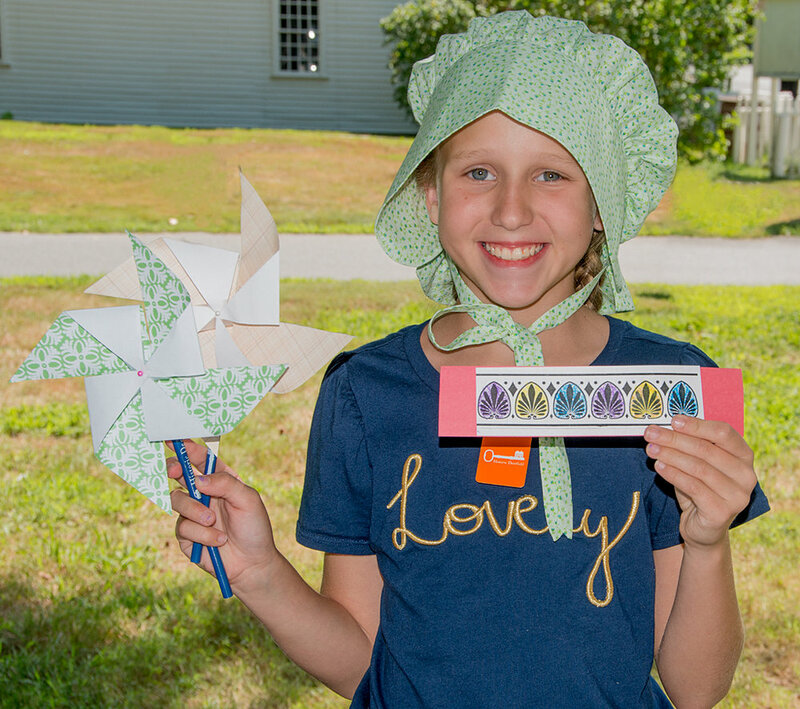 Historic Deerfield is Open Daily 9:30 A.M. - 4:30 P.M. Tickets may be purchased at the Visitor Center at Hall Tavern, or at the Flynt Center of Early New England Life. General Admission includes house tours, walking tours, access to collections and any special programs scheduled during your visit. Accommodations are available at The Deerfield Inn, located in the center of the village.